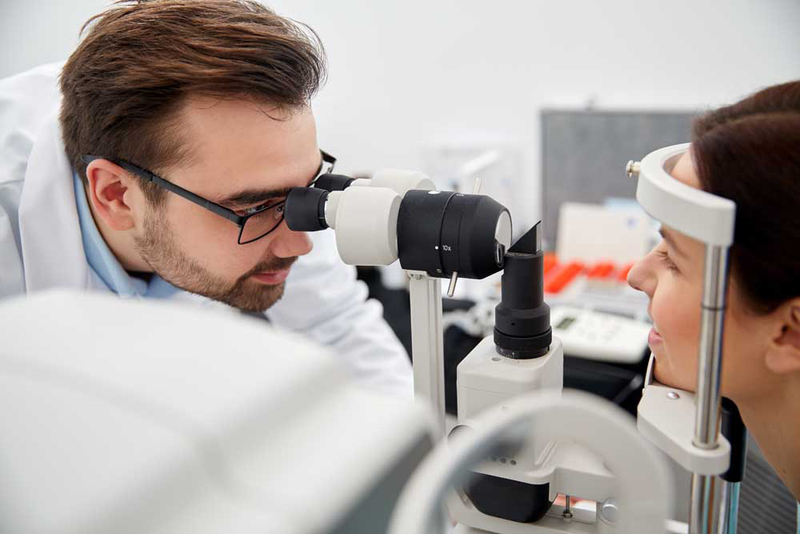 As your trusted local optometrist in Boston, the team at Vision Care 2000 has been providing personalized eye care in the area for more than 120 years. With our unique one-on-one approach to patient care and a dedication to the most advanced vision care available, we are proud to treat patients of all ages. Whether you’re interested in vision correction options like contact lenses or eyeglasses or you are ready for your annual eye health exam, our friendly and knowledgeable Boston optometrist is here to help! Dr. Rae Huang graduated with honors from New York State College of Optometry, where she received her Doctorate of Optometry and Master’s Degree in Vision Science. She has dedicated much of her time to research studies involving myopia and computer vision syndrome and she has a strong interest in both pediatric exams and binocular vision assessments. Sylvester Murphy, our owner and Optician, has been in the optometry field since 1988 and received his Associate’s degree in opticianry in 1993. He managed both Eyeworld and Lenscrafters stores for many years, before becoming self-employed in 2003. Comprehensive Eye Exams – Routine eye exams are vital to our vision care practice and allow our experienced optometry team to catch eye health conditions early on as well as find vision correction solutions that fit your active lifestyle. Contact Lens Exams and Fittings – Contact lenses are one of the most popular vision correction options available today. Ideal for many different vision issues and patients of all ages, we carry a variety of contact lens options include extended wear, colored lenses, daily disposables and more. Vision Therapy – There are many vision problems today that don’t require surgery or more invasive treatment options to correct. With vision therapy, a form of physical therapy for the eyes and brain, we can help resolve many different vision problems that may lead to learning disabilities if left untreated. Ortho-K – This vision correction option is ideal for patients who aren’t interested in contacts or eyeglasses but are not good candidates for LASIK surgery. Using specialized corrective lenses that are worn overnight, Ortho-K can gradually reshape the cornea to correct your vision problems. Is it time for your annual eye health and vision exam? Whether you’re interested in learning more about vision therapy or you’d like to schedule a contact lens fitting, our friendly and experienced optometry team is here to provide you with the most advanced eye health and vision care solutions available. Call (617) 487-4640 or visit our Boston Optometrist at Vision Care 2000 online today to schedule an appointment.